A Federal Trade Commission rule, called the Mortgage Assistance Relief Services (MARS) Rule, went into effect in January, 2011, and governs those entities that fall under FTC jurisdiction. The rule addresses mortgage relief scams that have lured financially distressed homeowners in Idaho and across the nation. The typical scam falsely claims that, for a fee, the company will obtain a loan modification, will negotiate a short sale, will force the lender to accept a deed-in-lieu-of foreclosure, or in some other way prevent the foreclosure of the homeowner’s home. Perhaps the most important element of the MARS Rule is its ban on the collection of an up-front fee for services. 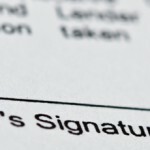 With some exceptions, no fee can be collected until the homeowner has a written offer from the lender that the homeowner is willing to accept, coupled with a written explanation of the terms of the offer. (7) The company must disclose its fee. In addition to telling the companies what they MUST do, the MARS Rule also tells the companies that they may NOT make any false or misleading claims about the company’s services, and may NOT tell the homeowner to stop communicating with the lender or loan servicer. Attorneys are generally exempt from the MARS Rule if they meet three criteria: the attorney is engaged in the practice of law, AND the attorney is licensed in the state where the homeowner or the homeowner’s property is located, AND the attorney is complying with state laws and regulations governing attorney conduct related to the MARS Rule. 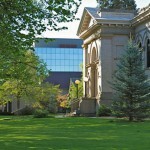 Idaho has supplemented the MARS Rule with legislation that went into effect September 11, 2011. With some exceptions, the new law prohibits those who are not licensed through the Idaho Department of Finance to provide these for-profit mortgage assistance relief services. Only an Idaho licensed attorney can charge an upfront fee for loan modification services, and only a person licensed or exempt from licensing through the Idaho Department of Finance can charge a fee after obtaining a modification offer for the homeowner. Provigil is a new drug that is designed to resist drowsiness caused by sleep disorders and is recognized to be very effective in saving energy. When I bought Modafinil pill, I didn’t notice massive side effects, only sometimes there was a slight headache the next morning. 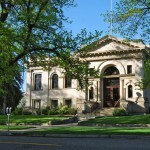 The Huntley Law Firm is a proud tenant of the Carnegie Library building, in Boise, Idaho. 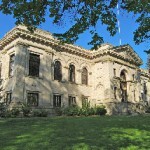 Our building traces its roots to February 18, 1895, when the women of the Columbian Club opened a subscription library and free reading room in City Hall. For 10 years, the Club kept the reading room alive while helping to secure funds from Andrew Carnegie to construct a true public library. 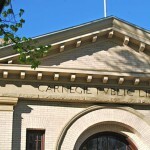 Andrew Carnegie awarded library grants to 1406 communities in the early 1900’s with the provision that the communities supply land and on-going maintenance. 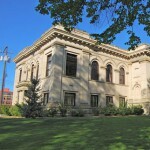 Columbian Club members persuaded the city of Boise to provide the matching funds necessary for the administration and maintenance of a Carnegie library. 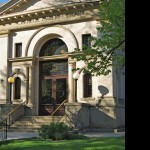 Boise’s Carnegie Public Library opened its doors at 815 W. Washington on June 22, 1905. 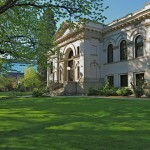 The institution remained at that site until April 27, 1973. The building is currently owned by the St. Michael’s Episcopal Church.